at Target and is now adorable. 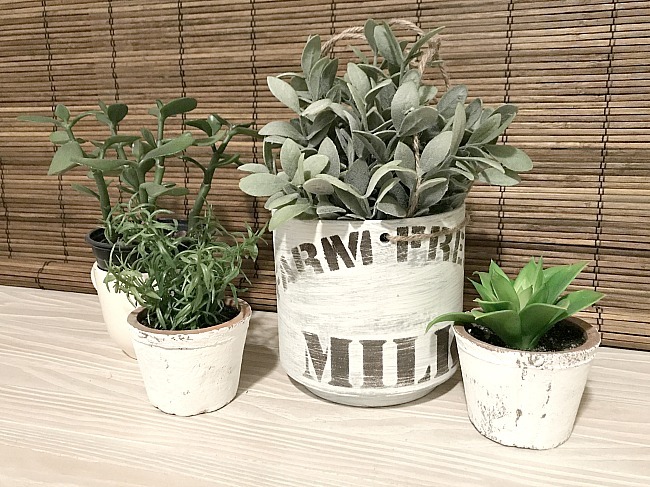 This $3 plain grey ceramic planter just needed a little updating to become fabulous. I started out by giving it a quick white wash letting a little of the original grey color come through. 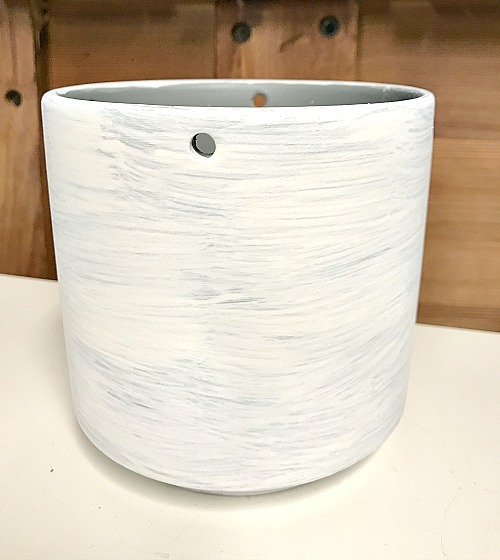 I white washed the planter with white chalky paint. I'm adding affiliate links so you can order, at no extra cost, items I recommend to create this project. Click on the dark words to reach the links. 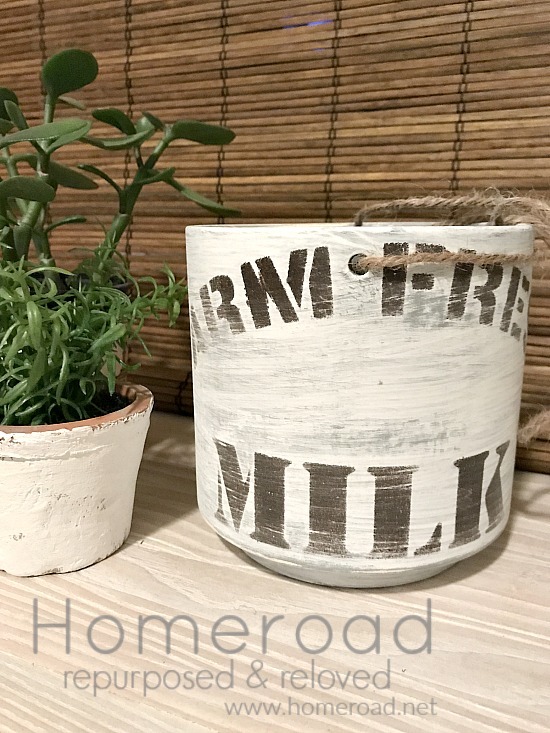 I used the Farm Fresh Milk stencil from Vintage Sign Stencils. 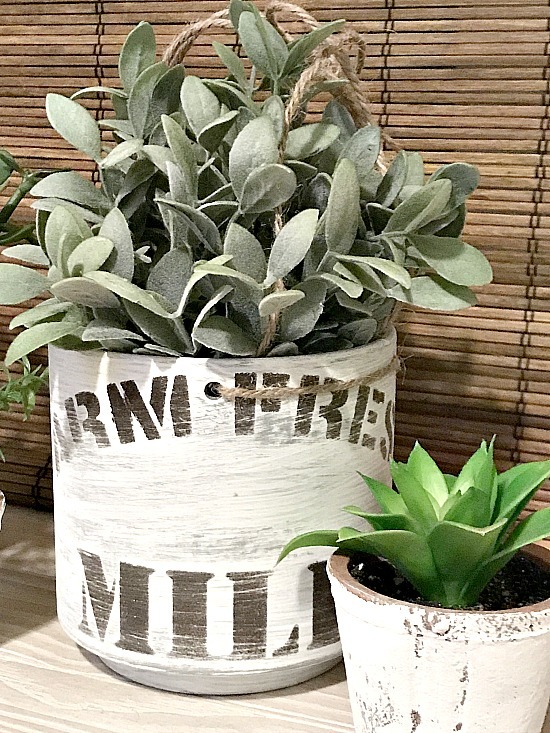 When the paint dried I wrapped the stencil around the pot and using a foam pouncer stenciled part of the stencil onto the planter. When the lettering was dry I used a fine grit sandpaper to distress the finish. It was finished in no time and I dropped in one of my favorite faux plants from IKEA. 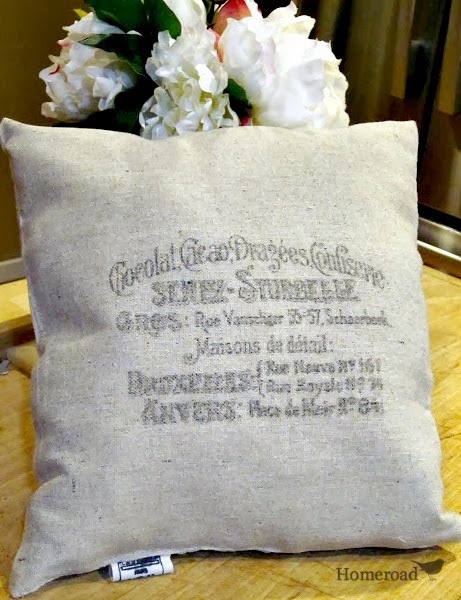 Visit Knick of Time for this beautiful Vintage Farmhouse Stencil and many others! love the transformation. I saw those planters at Target! Might need to head back! Oh my gosh! That is adorable! And with a $3 vase! I'm going to have to get some of those after work today! Love what you did with them!! I'm hoping to get into stenciling this summer and I love the ones that you've done! I can't wait to try my hand at it! Any really good bits of advice? Yep 3 bucks! That's the best part :) My best advice would be to use spray adhesive on the back of your stencil especially if you are new at it. It keeps the stencil from shifting. Have fun and stencil everything Lori! 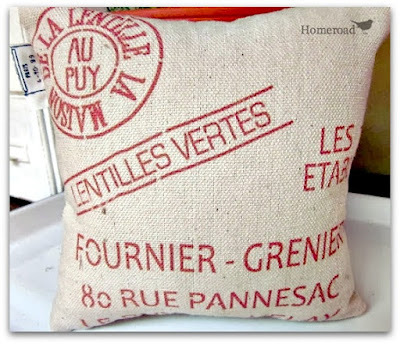 I must go find a cute pot to stencil on now - you've inspired me! 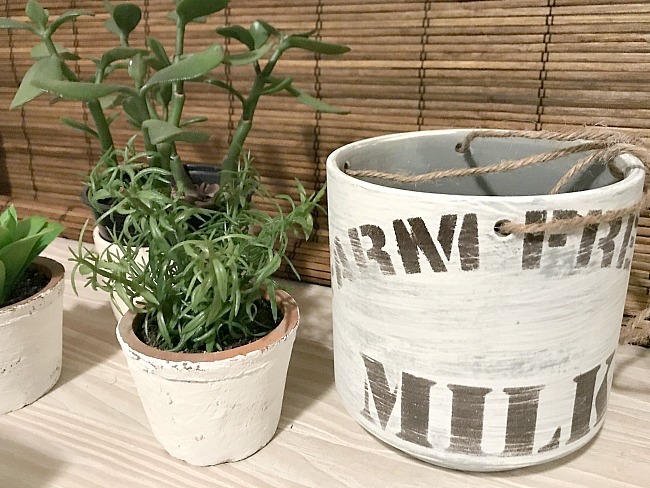 Glad you are having fun with the farm fresh milk stencil - it's one of my favorites! Thanks for the great stencil line Angie! The possibilities are endless.... stencil on everything!